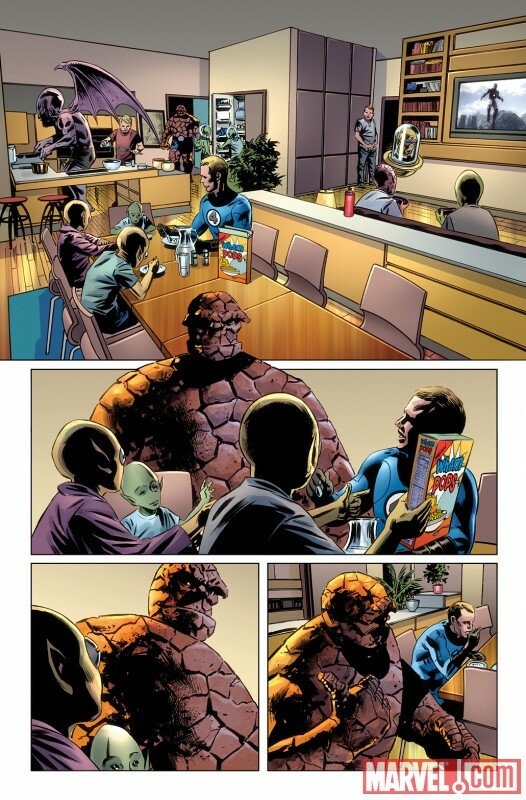 The good folks at Marvel have supplied us with a sneak peek at the upcoming Fantastic Four #584 and the second printing variant for the hot sell-out issue #583 which kick started the Three storyline. 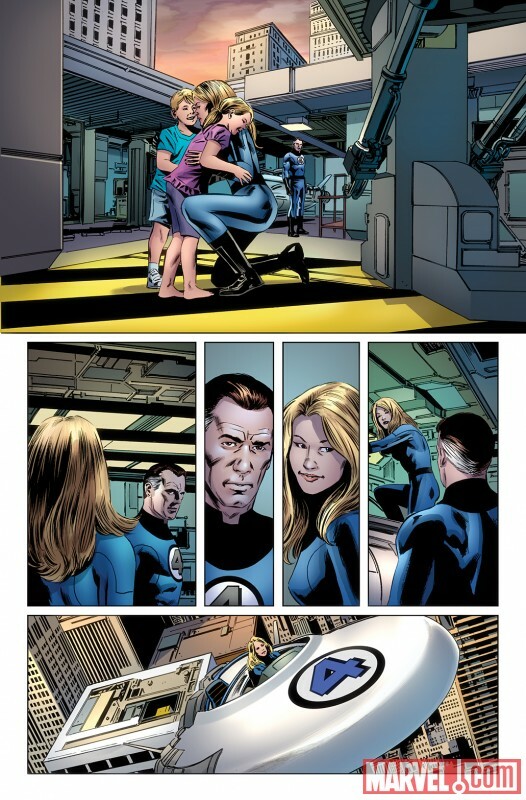 Critics and fans have had their blown by Hickman and Epting's run on Marvel's first family. 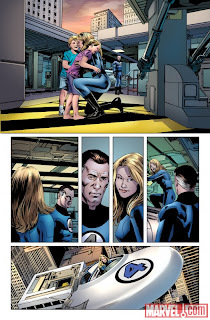 Marvel is pleased to present your first look at Fantastic Four #584, from the critically lauded creative team of Jonathan Hickman and Steve Epting! 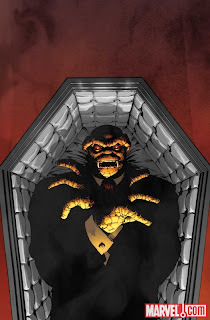 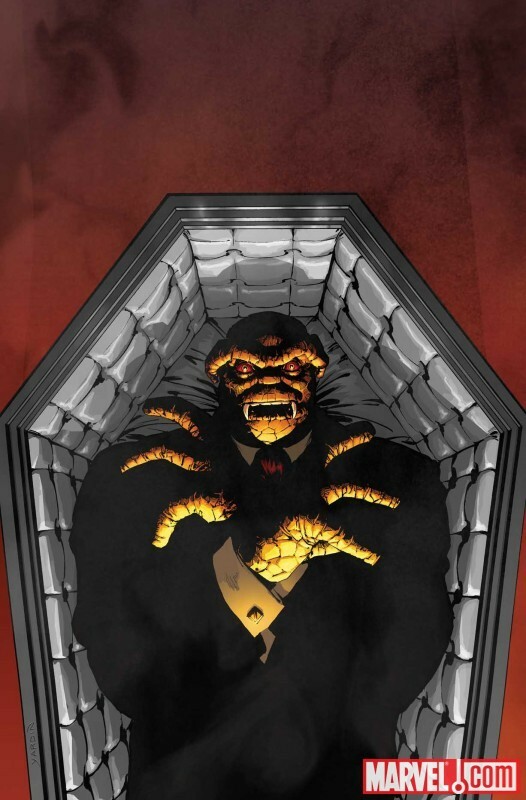 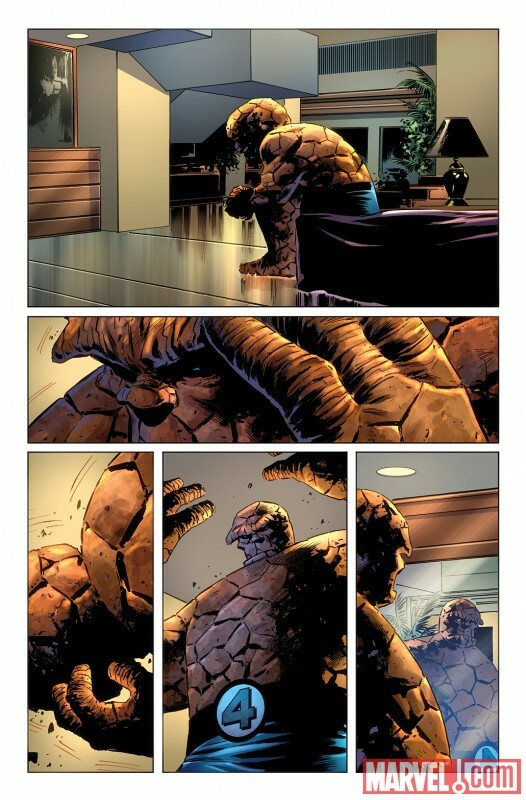 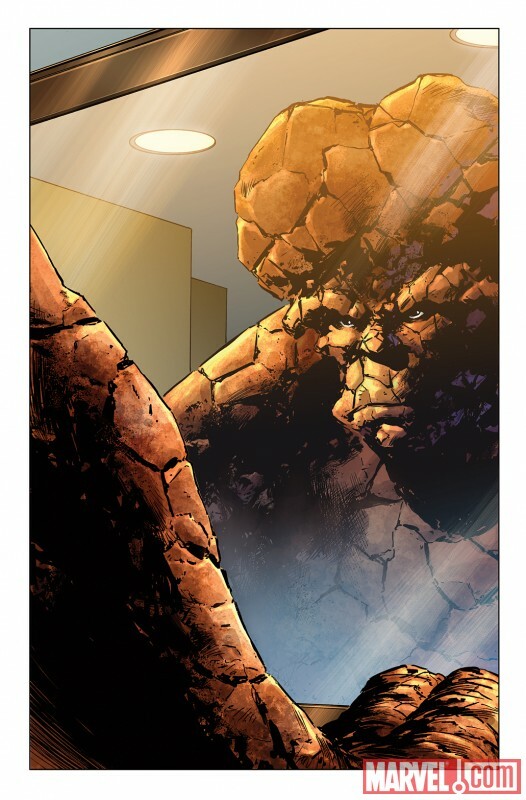 The defining Fantastic Four event of the decade and the series that has everyone talking, Three, redefines the very destiny of the Fantastic Four when a beloved member falls! 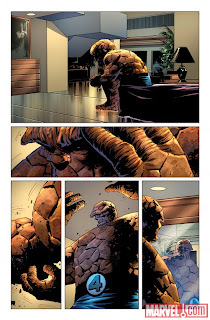 Taking Marvel’s first family from the pavement of Yancy Street and spanning into the far reaches of Nu-World, Namor will stand challenged, Galactus will hunger and The Thing…will be cured? 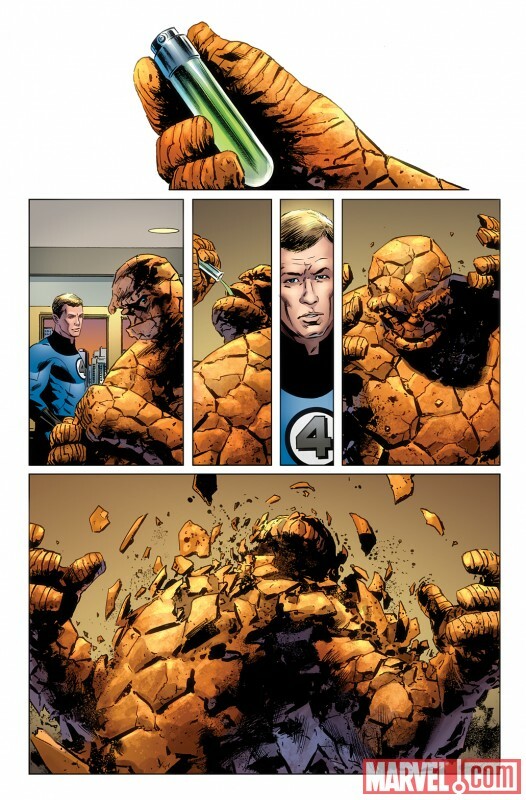 The world’s greatest heroes may soon pay the ultimate cost, but their most staggering of adventures has only just begun! 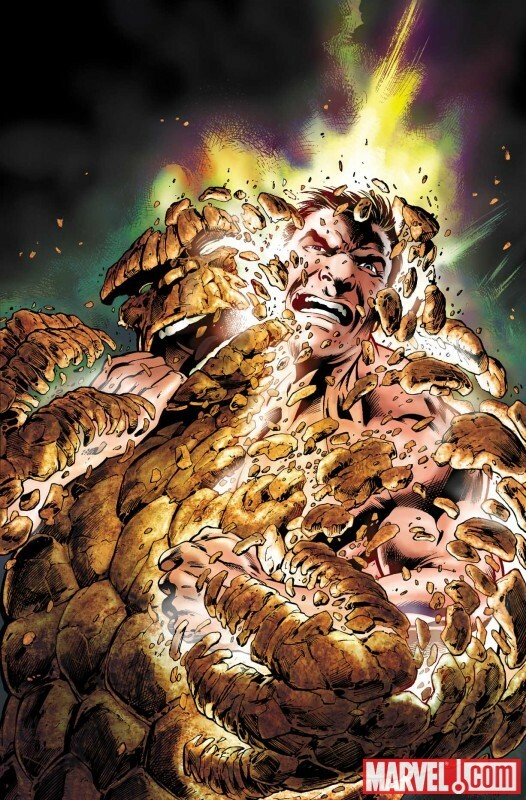 Fans and critics agree -- Three is a new high mark for Fantastic Four! 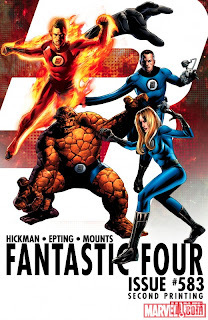 Jump aboard the fall’s most mind-bending story arc this October as comic book storytelling hits new heights in Fantastic Four #584! Plus, if you missed the dimension-spanning events in the sold-out first issue of Three, be sure to pick up Fantastic Four #583 Second Printing Variant!